Hello, I'm Jane and Borgo di Sopra is my home. I am English and my husband is Italian. We live here year-round with our family and have been welcoming guests since 2008. We aim to create a comfortable, peaceful place to stay where you will feel at home. ​Many of our guests use Borgo di Sopra as a base for exploring Tuscany so we can help with itineraries and reservations if asked. Do get in touch with me as you plan your holiday with any questions. ​In the meantime, here are a few pieces of information worth knowing. 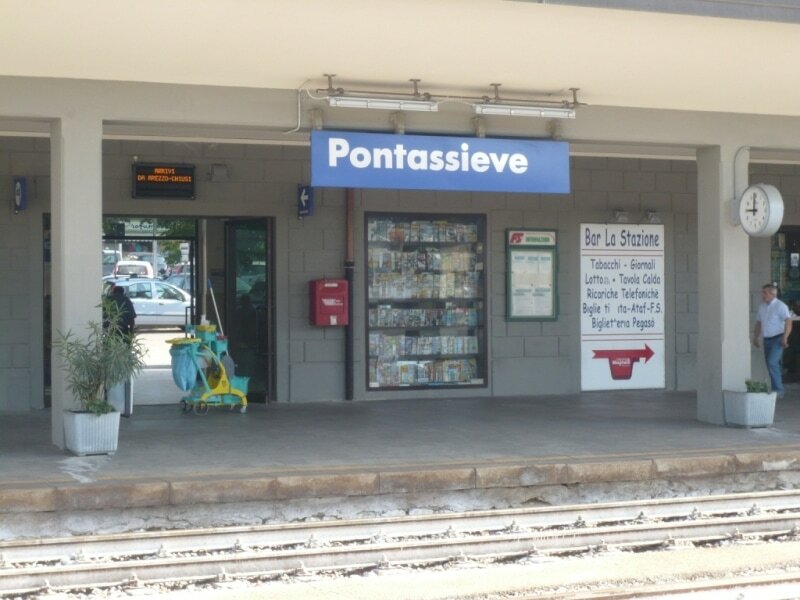 ​Pontassieve is a busy working town and offers a good choice of grocery shops, restaurants, banks and post office. ​From Borgo, it takes 6 minutes to reach Pontassieve. Here you can park your car and take the train to Florence. This is a commuter town, so the service is regular. The train journey is 25 minutes. Firstly, there is no passing traffic. So it is wonderfully peaceful here. ​Secondly, you do need a car to stay here. There are no buses and no taxis to hop onto. ​Florence is half an hour from Borgo. You can go by train or car. We prefer the train because parking can be difficult and expensive in Florence and anyway you can get everywhere on foot. ​If you want help deciding where to go we will be happy to sit down with a map of the region and suggest places to visit. There is much to discover in this part of Tuscany. Drive 15 minutes uphill beyond Borgo and start exploring. ​Take a diversion to the right and you find the forest of VALLOMBROSA with its historic monastery. Keep straight on and you will arrive at the Consuma Pass. 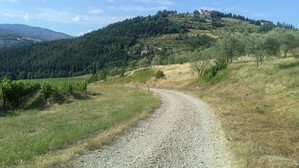 You will have wonderful views into the rural area beyond called CASENTINO. 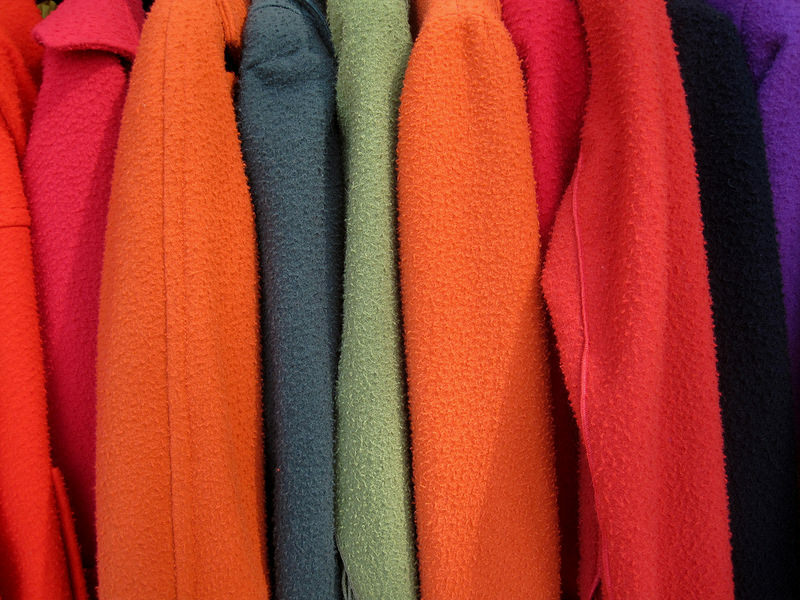 Less frequented by tourists, it has its own traditions (bright orange wool coats!) plus castles, churches and towns that deserve visiting. Just 15 minutes from Borgo di Sopra at Leccio is the designer outlet centre called the Mall. 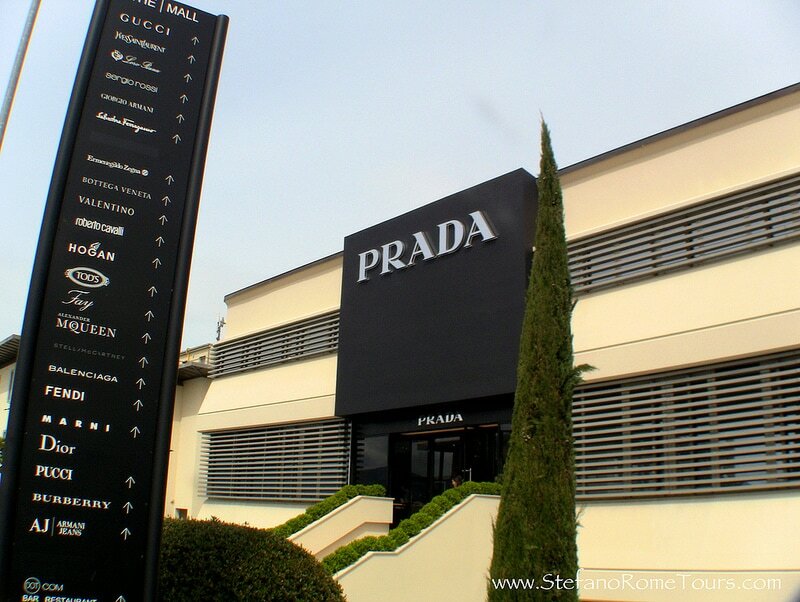 Top brands include Gucci, Prada, Moncler, Boss, La Perla, Ferragamo, Todds, Armani, Nike and many more. Borgo di Sopra is located in a wine producing area to the east of Florence. called Chianti Rufina. The red wines produced here are full bodied and age well. We can provide information about wineries and wine tastings. Borgo di Sopra is within walking distance of the Castello di Nipozzano. This is the heart of the historic Nipozzano wine estate owned by the Frescobaldi family. Just 7km away is another Frescolbaldi estate called Pomino. One of the great pleasures of visiting Italy is the food. We provide guests with restaurant recommendations in the surrounding countryside as well as in Florence. ​Ask us to make reservations on your behalf too. We can book you a wine tasting at one of the surrounding wineries and are always happy to talk about wine! The olive oils of Tuscany are many and varied. Borgo di Sopra is surrounded by producers of high quality olive oils, each one different and suited to different culinary uses. If learning about olive oils interests you, come and ask and we'll be happy to taste some that we have in our kitchen with you. ​There a many local footpaths. You can set off directly from Borgo di Sopra on foot. We do not have a swimming pool by choice. There is an olympic sized outdoor public pool in Pontassieve with garden space. We can also suggest other places to swim. Local people are fanatical cyclists, so you will see many bicyles on the roads (except in high summer when it is too hot!). ​Bikes can be hired in Florence or the nearby town of Sieci.